A Splintered Mind: Behold. 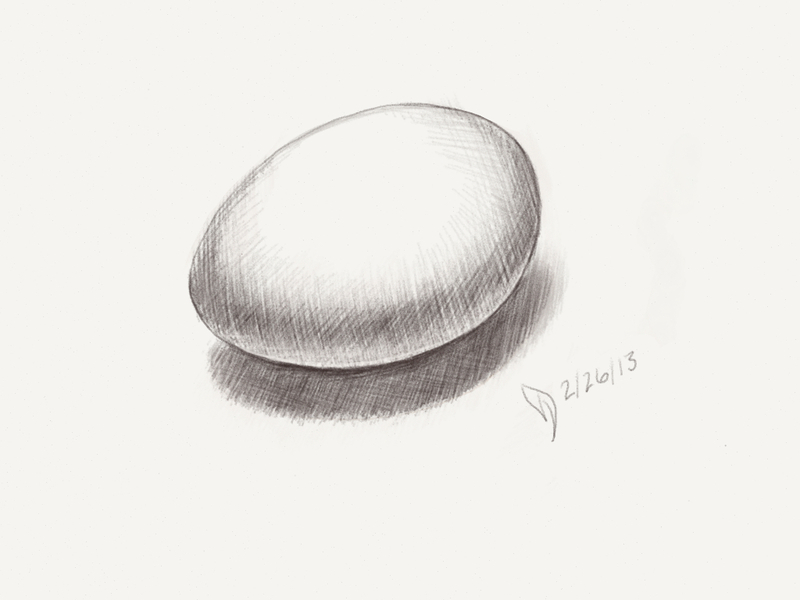 It's An Egg. Pencil sketching on an iPad with Paper—a very impressive app. I can't tell if it was my neurological problems or if it was the app, but this seemed to take longer to render than with pencil on paper. However, I'm fairly pleased. I've finally found an iPad drawing app that feels close to the real thing. It also felt nice to start and finish something within the hour. Art projects of late have been formidable cliffs of doom that I avoid like Ebola.